Why were California's wine country fires so destructive? As of late October more than a dozen wildfires north of San Francisco had killed more than 40 people, burned approximately 160,000 acres and destroyed more than 7,000 structures. This tragic loss of life and property is unprecedented in California. However, the fires are not anomalous events in terms of their size, intensity or the speed with which they spread. Indeed, the path of the destructive Tubbs fire in Napa and Sonoma counties mirrors that of the Hanley fire of 1964. This extreme wind-driven fire burned under similar conditions, across much of the same landscape and covered an area substantially greater than the recent Tubbs fire. Strikingly, though, no lives were lost during the Hanley fire and only 29 structures were destroyed. Why did these two fires, 50 years apart, burn on the same general landscape, under similar extreme winds, with such different human impacts? Fire scientists will study these events intensively to parse out the relative importance of various factors. But it is clear that two factors probably were major contributors: wind and population growth. The Tubbs fire began on the night of Oct. 8 near Calistoga in Sonoma County under extreme fire weather conditions, with high winds and low relative humidity. Normally, winds in this region flow from the west, carrying cool, humid air from the ocean onshore. These winds reversed that pattern: They blew out of the northeast at 40 miles per hour, with gusts up to 75 miles per hour. Such winds are common in California during the autumn, and are known as Diablo, Mono or North winds in Northern California and Santa Ana winds in Southern California. These hot, dry winds develop from an unusual pattern of high and low pressure cells, and are most prominent in autumn. They follow the normal summer and fall drought that occurs in this Mediterranean-type climate, leading to severe fire weather conditions. Such winds are associated with some of the most catastrophic fires in California's history. In the San Francisco Bay area, they played a role in the 1991 Tunnel fire, where wind gusts of 60 miles per hour were responsible for 25 deaths, even though the fire measured only slightly over 1,000 acres. The speed of these fires is a major factor leading to the loss of human lives. Since fires in Northern California do not appear to have changed in this 50-year period, what accounts for the difference in impact? Certainly one critically important factor is demography. California's population has more than doubled in the past 50 years, but Santa Rosa, which was hit hard by the Tubbs fire, has five times as many people as it did in 1964. This dramatic growth can affect fire losses in several ways. Nearly all fires in Sonoma County are caused directly or indirectly by people, such as intentional ignitions or power lines igniting fires. 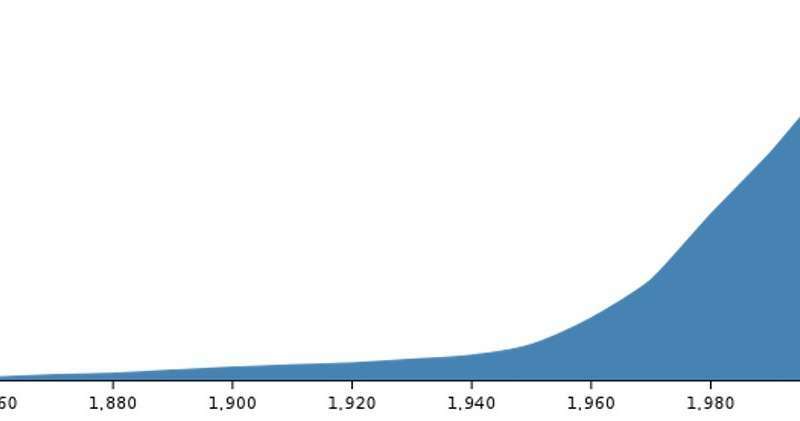 Population growth raises the probability of fire igniting under severe weather conditions. More frequent human-caused fires also convert woody vegetation to more abundant herbaceous vegetation, which increases ignition probability and the rate of fire spread. Population growth also spurs urban expansion. Development has spread outward, positioning people closer to watersheds of dangerous fuels. These fires burned through grasslands, oak woodlands and dense stands of chaparral shrublands that last burned 50 years ago. Diablo winds are often funneled by particular topographic features, such as low-lying passes in mountains. This makes some parts of the landscape, which fire experts refer to as wind corridors, more vulnerable than others. 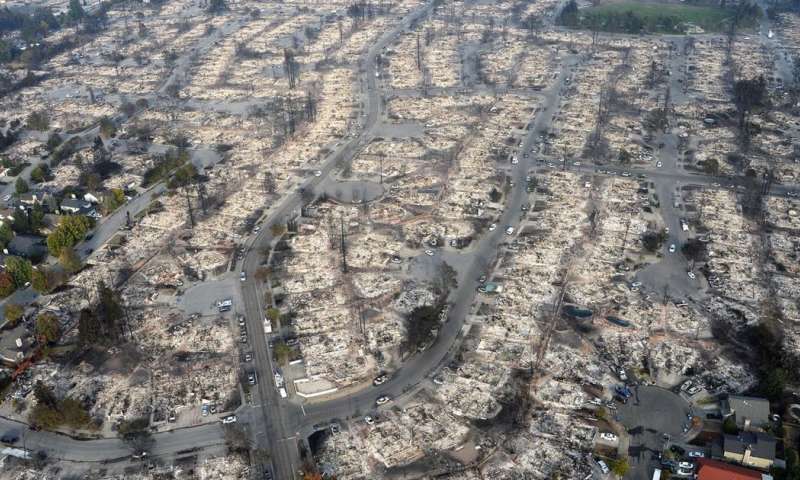 The so-called wildland-urban interface, or intermix, where development and wildland vegetation meet, is where most homes are destroyed by fires. Data presented at a recent Senate Science Forum show that both high- and low-density development in the areas where the California wine country fires occurred have expanded dramatically in the last several decades. Many accounts increasingly see climate change as a contributing factor in big fire events. There is good evidence that climate change will increase fires in some western forests, but there is little evidence that it will play a similar role in coastal California. In a recent study, we examined over 100 years of California climate records and examined the extent to which higher temperatures in different seasons might have contributed to enhanced fire activity, and found that there was very little correlation in coastal California. We hypothesized that this was likely because in lower elevations, temperatures are sufficient to lead to large fire events in most years, and fires are more strongly controlled by the timing of human ignitions in association with extreme winds. Some reports have suggested that widespread tree deaths helped fuel the recent firestorm. The extreme drought of 2012-2014 caused extensive tree deaths, but most mortalities occurred farther east, in California's Sierra Nevada mountains. In coastal counties, in contrast, many trees have been killed by sudden oak death syndrome, a disease spread by an exotic fungal pathogen. However, according to the California State Tree Mortality Database, there were few dead trees within the fire perimeters in wine country. And in some instances fierce winds carried the fire to communities that were a mile or more away from dangerous wildland fuels such as dead trees. These facts imply that tree mortality played a minimal role in the destruction caused by this firestorm. Still another potential factor is above-normal rainfall during 2017. High rainfall increases plant growth in grasslands, which leads to increased fire incidence and spread. In all likelihood this did play some role. 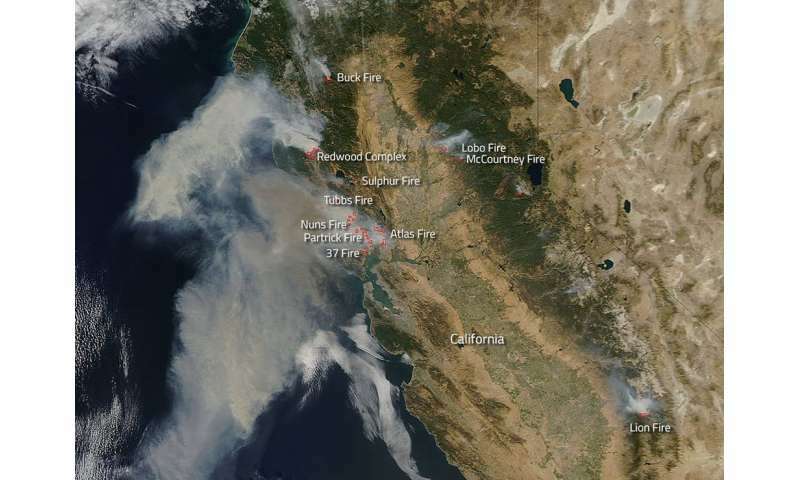 Looking to the future, fire-climate studies in coastal California have concluded that in this coastal region, direct human impacts are likely bigger concerns than indirect impacts from climate change. On the plus side, this suggests that there is great potential for altering fire outcomes by reducing fire ignitions. We do not yet know what ignited this year's Northern California fires, but extensive experience within the state points to several likely culprits: downed power lines, arson, debris burning and equipment such as generators. Since these fires started at night, debris burning and equipment seem to be less likely causes. However, there were reports of extreme winds blowing down power lines, and historically such events have started some of California's worst fires. Current U.S. Geological Survey research indicates that during the last several decades there has been a significant decline in arson-ignited fires in California and a decline in area burned due to arson. In all likelihood, increased fire prevention strategies have played a role in this decline. On the other hand, power line fires have not declined in number or area burned in the last several decades, and ignitions from power lines remain a statewide problem. Actions that can reduce the risk of this ignition source can include placing power lines underground. Drought and warmer climates have made wildfires a year-round hazard in California. Expanded urban development, in tandem with hot winds, seems to be the primary reason for the destruction this year. Once we better understand what factors made the 2017 fires so damaging, communities can prepare for future outbreaks in this increasingly fire-prone landscape. Although the author suggests human ignitions have declined in California, they are still causing an extended fire season. Recent research shows human ignitions create a fire season 3 times longer than natural lightning fires. The fuel loads that have been increasing due to ill-advised fire suppression consisted of grasses and shrubs classified as 1 and 10 hour fuels, meaning that daily changes in weather are sufficient to dry out the fuels. Besides California's Mediterranean climate dries out fuels loads b yOctober every year. The climate IS and HAS BEEN changing. Drought, dying trees, and heavy metals contamination of the soil/atmosphere from geoengineering, weather manipulation/modification/warfare, and the like, are major factors in the climate change "equation." The perpetrators of these crimes are rarely mentioned. The suggestion that "WE" are the cause is preposterous. Don't get it twisted - - - the majority of Americans have NO PART in these insidious acts against humanity and all life on this planet. Get it straight.